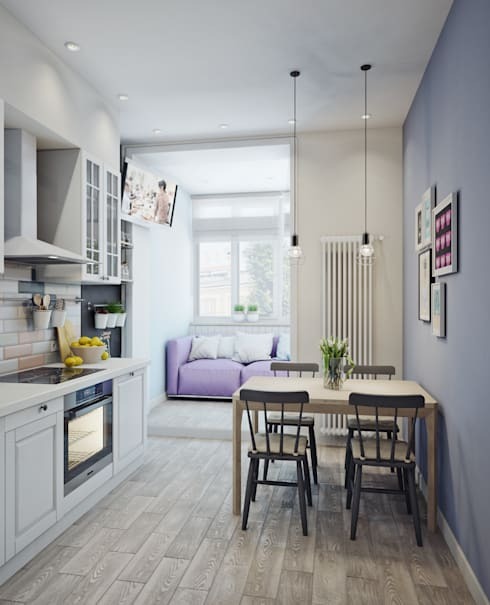 So you’ve just moved into a new home and the kitchen is tiny, it’s time to forget about the space issues and embrace the petite and adorable. 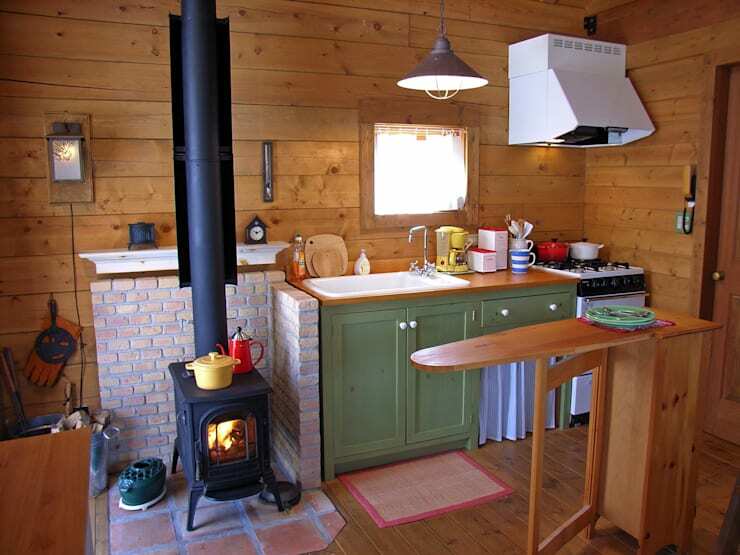 The 10 kitchens featured in this article are all small in size, but they make up for their miniature layout with some gorgeous and smart space saving initiatives. You’ll never feel claustrophobic again with help from the professional team at homify. 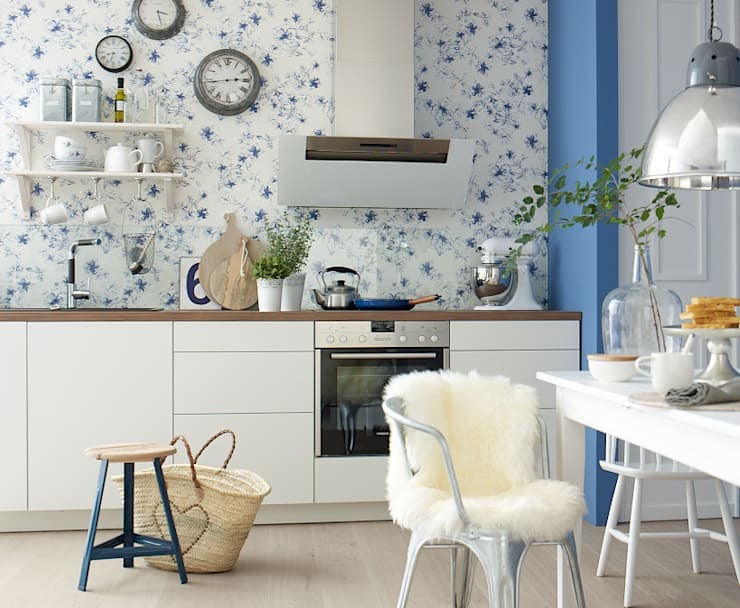 So let’s get inspired to be creative with our cooking zone. 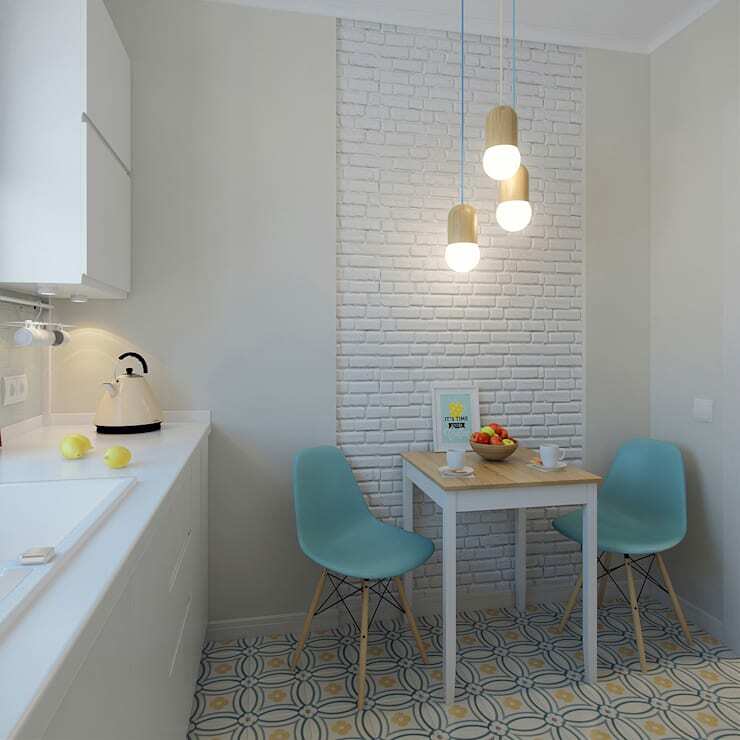 This tiny kitchen is delighfuly sandwiched between two walls, the simple colour scheme and retro inspired design is decorative although not over powering. 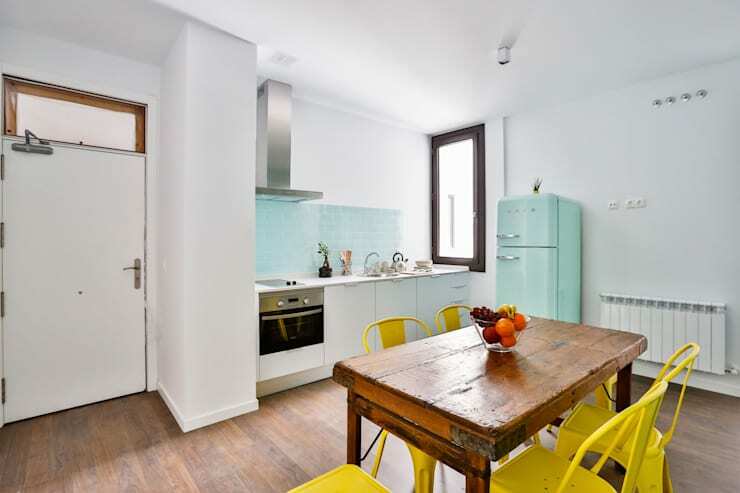 A studio apartment usually means a small kitchen, but this one has taken advantage of each and every corner for storage and style. 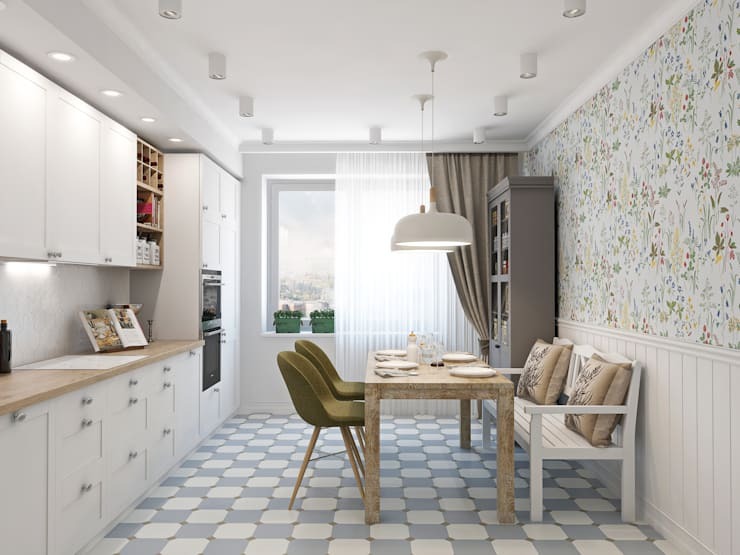 A mini dining area is the perfect finish to this simple kitchen. It may not be for everyone, but if a female touch is perfect for you, then consider a fluffy chair with some stylish accessories. A narrow wooden counter acts as both extra working space and a dining area. A small kitchen is one thing, but you need to look at ways to incorporating a chill zone into your home too, think about a living room with some elegant lighting to complete the design. Separate your kitchen from the dining area with a sleek and neutral toned bar counter and you will have extra storage too. 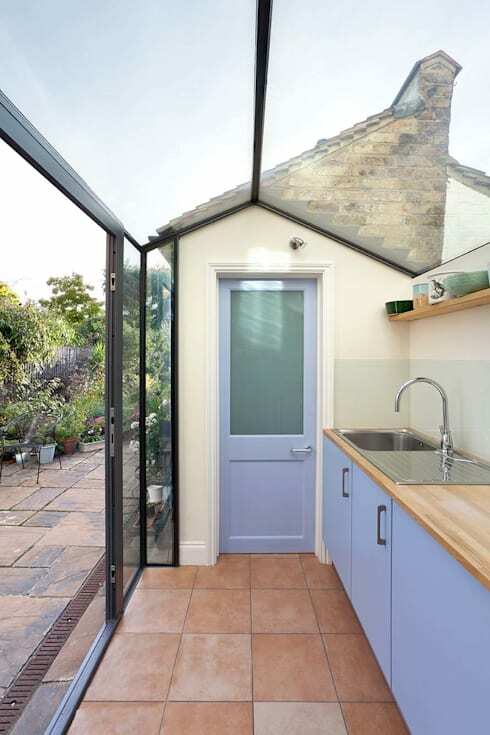 A greenhouse can double up as another kitchen area, great for those summer picnics in the yard with family and friends. Modular cupboards are a sensational way to enhance cupboard space for all those essentials, keeping your counters clutter free and tidy. Which small kitchen idea do you prefer?